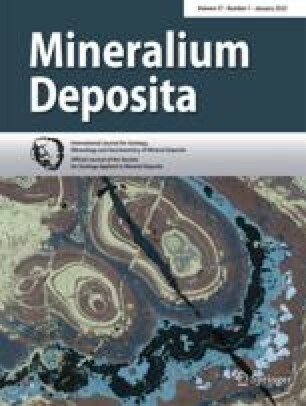 Major and trace element analyses of representative samples of various types of banded iron-formation and its various minerals, associated sediments, iron ores and volcanic tuff from different localities of Orissa, India, are presented in this paper. The Orissa banded iron-formation is classified as Precambrian banded iron formation and is similar to the oxide facies iron formation of Lake Superior type. The Orissa iron formation consists only of iron oxide and silica with total absence of iron silicate, sulfide and carbonate minerals, and is devoid of terrigenous material. The trace element content suggests the source of the underlying quartzite to be a continental igneous rock mass, while the interbedded tuff are of undoubted volcanic origin. The overlying iron formation were chemically precipitated as oxidate sediments in which the principal iron mineral — magnetite — was formed at low temperature in a shallow marine environment. From the overwhelming similarity of major and trace element contents of all the samples from the different localities, it is postulated that these detached outcrops originated in the same continous basin.